The screw vacuum pump is oil-free and exhausts means is a combination of two helical rotors with different directions of thread. Compressor housing and screws form a special form of the compression chamber for gas transportation. resistance to liquid and vapor content in the pumped medium. 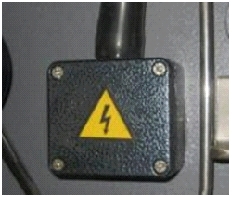 Pumped volume is connected to port 1. 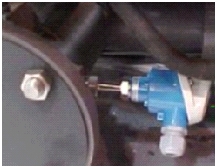 Both screws 3 rotate and redirects the gas through the chamber formed between the screws. Moving the camera 2 to the outlet, where the pumped gas is released. During the pump requires a cooling water flow of 5 l / min or more, depending on the model. In the illustration: 4 - seals, 5 - 6 bearings - drive -val 7, 8 - the case of cooling. Through a series of "know-how" and technical solutions in the construction of housing and screw pair distinguishes the operation of these pumps from other types on the market of mechanical pumps, also known as "dry": three-blade, claw and screw pumps. Become familiar with the company's model range ScrewStar in English you can on the official website of the company. Key benefits of this manufacturer of pumps, we list below. SS series pumps are reliable in operation and safety in the dry mechanical vacuum pumps are screw type, suitable for most industrial processes, including chemical industry, medical industry and pharmaceutical industry. 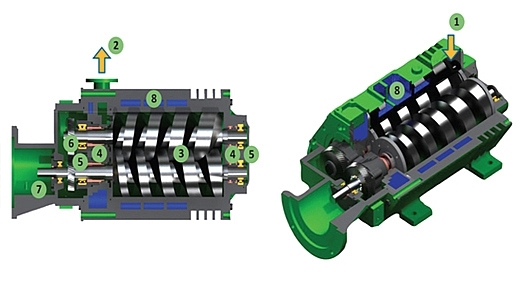 The main feature is a hybrid form of the screw rotor with variable pitch thread rotor. As a consequence, the compression mechanism of the gas stream occurs evenly along the entire length of the rotor, and the heat released as a result of the compression work, does not accumulate in the same point on the surface of the rotor or in the end caps. In operation, the two rotors form a hybrid with a variable pitch screw thread arranged horizontally and rotate the pump body without any mechanical contact towards each other in the clockwise and counterclockwise, respectively, by timing gears. Another distinguishing characteristic compared to other products on the market is a mechanical pump housing material and rotor pump - used ductile iron that ensures stability, mechanical precision of the linear dimensions of the pump during the entire period of operation. Also not unimportant that the interior of the pump, as the housing and rotors treated Teflon coating. This gives additional advantages to the use of these pumps when pumping process gases with high humidity and / or content of chemically aggressive components. Grease double row angular contact ball bearings ensures oil cooking spray while rotating clock gears. For reliable sealing on the pump shaft from the oil sump and atmospheric pressure using high-lip seals and mechanical seals. 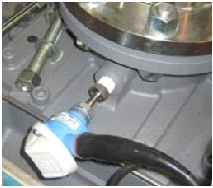 Basic specifications Screwstar screw pump are shown in the table. Maximum allowable pressure water bar. huts. The nominal loss of water pressure, atm. 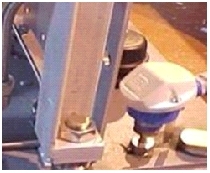 Possible non-standard design of the pump, with the use of external control equipment directly to the needs of your process. 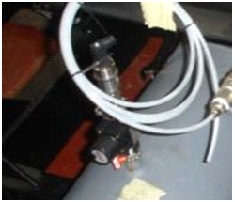 The temperature sensor at the inlet end of the vacuum pump: PTC thermal switch two-threshold (the default threshold of 88 o C and 95 o shutdown threshold C) in the protective performance. On request thermal switch can be replaced with any other device thresholds. SS pump perfectly aggregated with frequency converters Siemens SINAMICS, if necessary, contact our company for a typical sheet of commands for programming the drive frequency and advice when choosing a model of frequency drive. 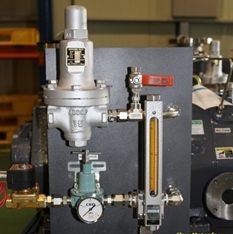 Production of vacuum pumps are located in South Korea. High-tech manufacturing and warehousing program allows you to quickly and in time to fulfill an order for the supply of pumps. Approximate delivery pumps SS150-800 from 2 to 8 weeks. Delivery pumps SS1500 from 10 to 16 weeks. Please contact us for more expert advice on the telephone number listed in the contacts .